Great foul by Dedric. Cracked the dude but kept it clean. Officials evidently are going to look at the monitor, but that was a good, hard foul and it saved #KUbball two points. 71-all, 1:27 to play. Stanford headed to the FT line. That was just Stanford's 9th offensive rebound of the game — at a HUGE moment — but I bet it feels like 90 to #KUbball coach Bill Self. Stanford leads 73-72 with 36.6 seconds to play and possession. 27 on the shot clock. He hooked Dedric - Dedric then had the ball and got called for the foul. The Year of Lagerald Vick continues as the senior buries a 3 to tie the game. Vick with a deep, high-arcing 3-pointer off of, you guessed it, "Chop" saves #KUbball and sends this one to OT when Stanford misses a game-winner short at the buzzer. 75-75. 5:00 of free basketball ahead. Vick's got 22 now on 6-of-10 from 3-point range... #KUbball leads 78-75 with possession. And then Vick reminds us all that he can do THAT... Holy my. #KUbball leads 80-75. 2:39 to play in OT. Lagerald Vick is a man possessed. Lagerald Vick had 2 points at halftime. He now has 27 points. Vick's a bad man. Whew. 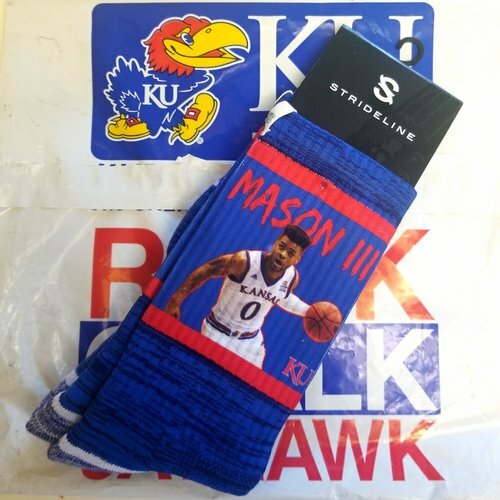 #KUbball running away with this one now. 83-75. 2:22 to play in OT. All 8 points by KU in the extra frame have come from Vick. He's got 27. Vick is a bad man! Yes! #KUbball holds off a serious push from Stanford, 90-84 in OT. 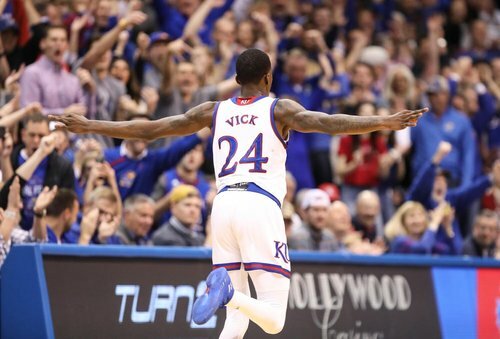 Vick (27 points) led the way in the final 5:14 and topped the @KUsports ratings after another red-hot night. Can’t wait to get home to see the game and this Kirby smart fake punt call. Self: Vick was nonexistent for a while. He was great down the stretch. We needed every 1 of them. We were lucky. They outplayed us. That was an AFH win, an arena win, a building win. Cause we had nuthin'. Self: We'll look at this as one of our quality wins even though we weren't very good for 30 minutes. Self: Jerod Haase did a much better job that "the coach on the other side of the court did."